Nowadays working from home is more than a trend, it’s becoming a movement and lifestyle. As we can see more and more people prefer to work from home, be self-employed or entrepreneurs because they experienced higher productivity, lower stress, better cost saving and more overall happiness by doing so. I am in dilemma, should I join the bandwagon? Well, this movement and lifestyle have also generates demands for urban SoHo, SoFo and SoVo. 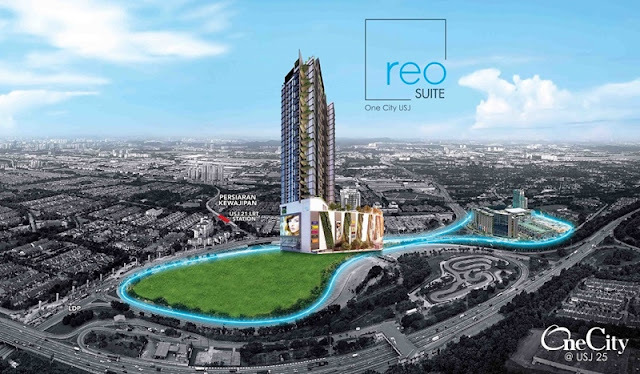 So recently I received an invitation to view the new REO Suite at One City, USJ. Out of curiosity what is SoFo and how can it enhance my work-life balance, I decided to visit and explore this last piece of hidden jewel in Subang Jaya. I believe you have heard about SoHo which is Small office Home office; a SoFo is pretty new to me which is the Small office Flexible office while a SoVo is a Small office Virtual office. Each of these types is relatively quite similar and in fact that they all are small in size home office but they differ in terms of functionality. The REO Suite @ One City is cater for SoFo, or so called the in-between home and work place. SoFo can’t be a standalone block, it must be attached to big corporate office, shopping mall and other facilities. Upon arrival at the REO Suite @ One City show room, I was graciously greeted by Mr Teoh Eng Poh, Sr. General Manager of MCT Berhad, a maestro who has vast experience and foresight in property development. While waiting for the rest to arrive I took tour of the show room unit before the briefing about the REO Suite project start. The view from show room was breath-taking, REO Suite is the final phase of One City development. It is a huge integrated development which spread across 20 acres of freehold land in the matured neighbourhood, located at the back of Subang and in the side of Puchong. So this is what we called it as the last piece of hidden jewel in Subang Jaya. Mr Teoh had also emphasized that the REO Suite land title is under Commercial so the address can be registered as Business Address which is important to those on self-employed or entrepreneurs as well. 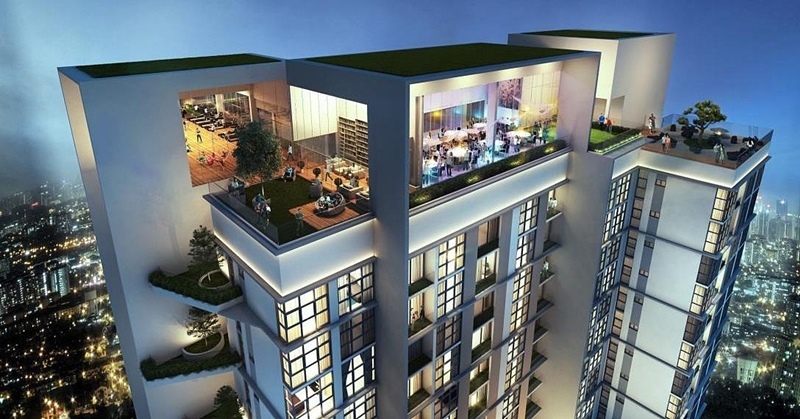 The hip & versatile REO Suite consists of all designer studios and 2-room suites with built-up sizes ranging from 370sq ft to 609 sq ft and price starting from RM296,000 to RM602,550. For a startup business I think the 2-room suite is cool and convenient with all the facilities and supporting industry available. Or for those who prefer to have their own privacy and does not require a big space, the studio unit is perfect. The facilities available includes the Roof Garden, Zen Garden, Infinity Swimming Pool, Pool Side Deck, Viewing Deck, Putting Green, Multipurpose Hall, BBQ Area, Sauna, Steam Room, Jacuzzi, Indoor Garden Library, Dance Studio, Gym, Yoga Deck, Games Room, Meditation Room and also the Prayer Room. One of the key factors for property investment that we must remember is location, location and location. 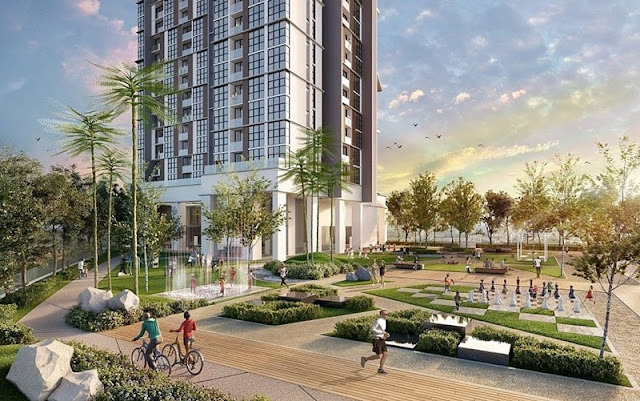 After viewing and understand about the overall project plan, I find that the REO Suite is situated on a strategic location the suburban hub of Subang USJ with excellent connectivity and accessibility to a few major highways such as LDP, ELITE, NKVE, KESAS and SKVE. For those who prefer to commute using public transport, there will be RapidKL buses and city taxi services. Plus there is direct access to upcoming LRT station (only 300 meters from REO), extension from Kelana Jaya Line that will be completed by 2016. The REO Suite is scheduled to complete in 2nd quarter of 2020, once this phase is completed it will become a self-contain and self-sustain city by itself; whereby Work, Live, Study, Play and MICE (meeting, incentive, conference and exhibition) all comes in one place. For example, Taylor’s University College, SEGI College, Inti International College, Monash University and Sunway University are within a 15-kilometer distance from Reo Suite. I think I can invest a unit because there will be a high potential for attractive rental yield from a ready catchment of students. Overall, I like the versatility, design and convenience of the REO Suite SoFo concept. It fit into the young urbane lifestyle in the pursuit of work-life balance. The interior designs are minimalist, modern and compact. All the furniture and fittings are built-in such way to maximize space and mobility. It was a pleasure viewing experience and also learnt a few tips about the property development trend not only in Malaysia but also globally during the talk. great info, pictures are so pretty. Another good property for us to choose! The place was really so modern and nice. Swimming pool in rooftop looks awesome too! Good for investment (if only got extra money hehe)! Thanks for sharing.. The infinity pool looks just awesome. Having a mid day break at a pool atop office would be a perfect stress buster! The view from the suite is incredible. Thanks for such an informative post. The images are breath-taking! Very nice post...loved your Info...and pics...It would be great to work in such a place. The model studio unit is cool. I love how it was designed. Plus, the layout make it look spacious and functional. This is really a great post and very informative as well.These pics are superb...wish I could have such an office with such beautiful surroundings. this looks very exciting, especially the infinity pool! Great post and pictures. I'd love to check that place out. Beautiful pool! Thanks for sharing. I'll definitely keep this for future reference. Keep it up! The facilities are all amazing! 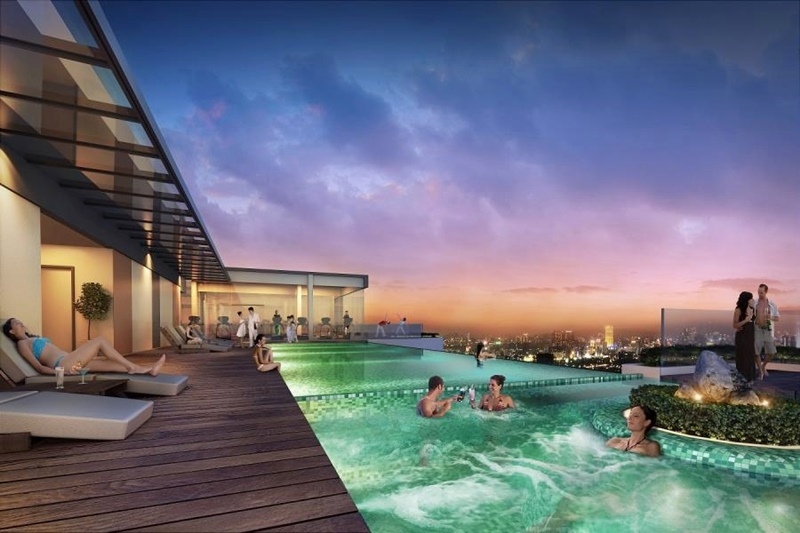 I would especially want to experience swimming in the infinity pool and walking through the zen garden and the roof garden. Real Estate is starting to boom in Malaysia. I saw a several buildings that were under construction when I was there. I've been in the real estate industry for a while and I see the importance of a city home with top-notch amenities. REO Suite seems promising. My gosh, the place is so inviting. Love to have a place like that, a place wherein I can have quality time for myself. Love the interior design! This place looks beautiful with all the facilities. Lovely interiors. Like the view from the show room especially during night time. I wish to have one unit there too. Nice property to invest in specially if it's just a walk away from your office. While most of us still want a house, a condo is the way of living in the future, I guess. Nice designs in this one, very modern looking. I had no idea there are places like this. It's definitely nice to build a small office here. The rooms are great and so are the facilities! makes me wanna live alone already. I heard this place is spacious and is strategy location. Will go and have a look on this project. The concept is very interesting because nowadays people always look for convenience. Being able to work from home is a very big convenience that can help out everyday lives, so the SoFo concept is really good. my 2016 resolution is to get an office.. can't afford to buy one at the moment though, but if i can, this would be the perfect choice! Having a soho unit is one of my dream~~ Thanks for sharing, will keep it as reference! This kind of office (SoHo) is really popular in Singapore! People can stay there, work there and have so many facilities that allow them relax! I have bought a house with my dearest. Not so into SOHO concept but if for one person stay and he/she is work from home, this is a good option. They have a very contemporary setup. It would be a nice place to be in especially once all the facilities are available and the project is complete. It is breathtaking indeed. Is this a condo or a workplace? Have you bought one already? People would sure feel the relaxing vibe of this place. Oh the views are just amazing. If I'm ever in that part of the world I would so love to visit there. The view is great! And the space is very well arranged - with everything one might need. I also like the colors - I think I could definitely choose it. The studio unit's interior is cute! Loves!